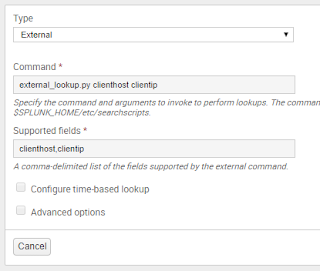 To use this lookup, all you need to do is pipe your search into the "lookup" command, selecting the field corresponding to either reverse ("clienthost") of forward ("clientip") lookup, and an existing field to run the lookup on. Where "hostname" is the field in your search, containing domain names that you're looking to get the IP addresses for. Resulting IP addresses will be added to each event as the "clientip" field. 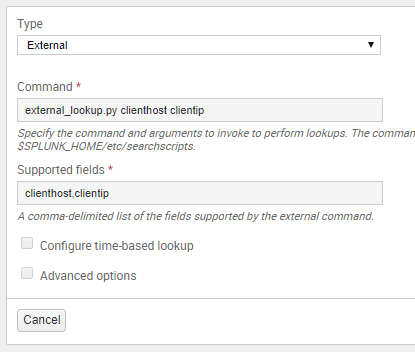 Note that in cases where multiple IP addresses are returned by the lookup, the "clientip" field will be a multivalue field and will need to be handled as such. Where "ipaddress" is the field in your search, containing domain names or hostnames that you're looking to get the IP addresses for. Resulting domain names will be added to each event as the "clienthost" field. Then just run the "dnslookup" lookup against the "domain" field.